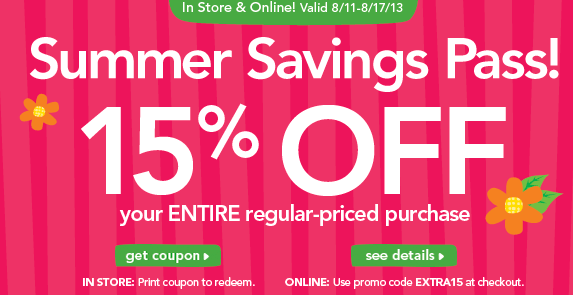 Use coupon code EXTRA15 to receive 15% off one item at checkout at ToysRUs.com, or click through to print out a coupon to use in-store. Good at BabiesRUs.com too. I just used it! I pre-ordered the Skylanders Swap Force Starter Kit with a bonus Hex and the total with shipping came to $72 so it was a few bucks off what I would have paid otherwise – works for me!